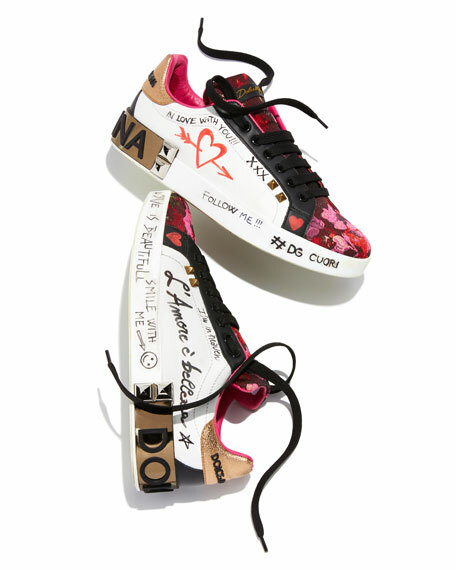 Dolce & Gabbana leather and floral-jacquard sneaker with allover love text features. High platform with spike studs and metal logo heel counter. 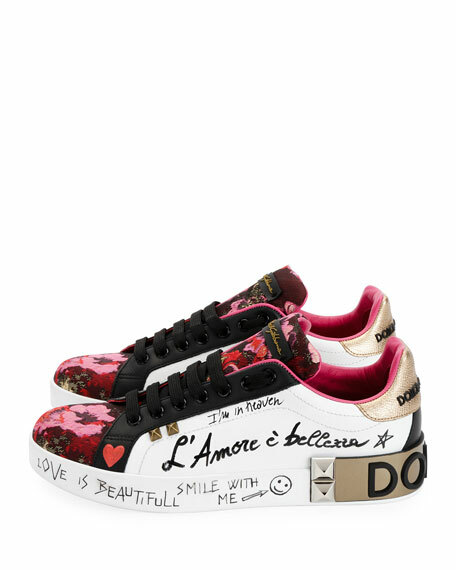 Sequined "Amore" text at side. For in-store inquiries, use sku #2547653.